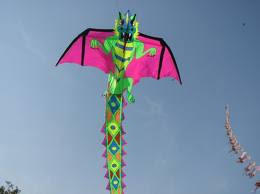 International Kite Festival Jaipur will Celebreted on 13-14 January 2013 in Jaipur rajasthan. 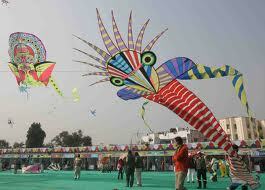 The International Kite Festival Jaipur is an absorbing kite flying session. This festival is celebrated on 14th of January every year. The celebration continues for three consecutive days. The popularity of the International Kite Festival in Jaipur is such that it attracts kite fliers from far off corners of the country. On visiting the place, you will be able to witness a joyous mood in the air of Jaipur. International Kite Festival Jaipur has grown into a grand event. It not only experiences a huge participation. The large number of spectators also reflects the tremendous popularity of the festival. 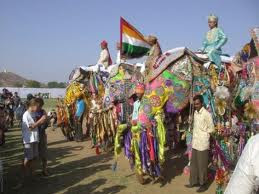 The festival is inaugurated at the Jaipur Polo Ground. The festival is divided into two sections. One is the Kite War and the other is the Friendly Kite Flying Session. The final is held on the last day of the competition. The prize distribution ceremony is also held on the same day in the Umaid Bhawan Palace’s royal turf. The people of Jaipur, on this day take a holy dip in Galtaji, an important pilgrimage in Jaipur. They pray to sun god to bless them with good health, wealth and good crop. On this occasion, the pink city turns all colourful with the beautiful kites in the sky. 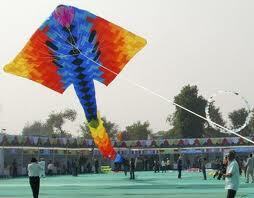 Makar Sankranti is a government holiday in Jaipur, and it undoubtedly increases the pleasure of the festivities. Shopkeepers keep their shops shut, banks remain closed and everybody gets engrossed in kite flying on this day. 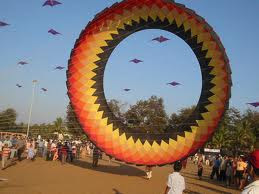 Various kite flying competitions are also organised by numerous Kite Clubs in the month of January. State government even organises "International Kite Festival" in Jaipur for a stretch of three days wherein kite lovers from all over the world come and participate.During the festival you can see a large variety of kites in the sky of Jaipur. The colorful kites like indigo, ochre, red, blue, yellow, green, fushcia, indigo, ochre, pink, orange make the sky of Jaipur look really dazzling.